Thomas Karlsson (born 1972) is a Swedish occultist and an esoteric author. 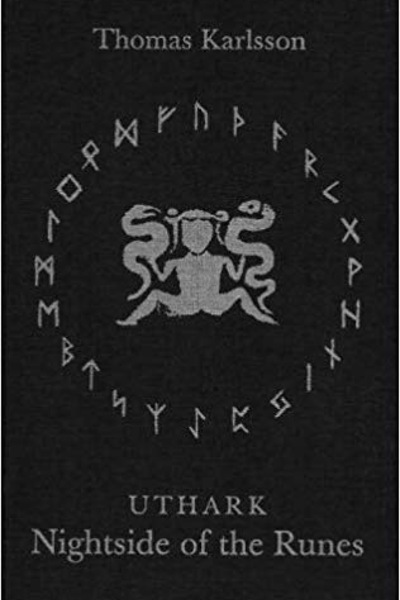 In 1989, he and six other magicians founded Dragon Rouge, a Left-Hand Path initiatory organization and a Draconian Tradition Order, led by Karlsson. As a book author he concentrates on occult, philosophy and paranormal topics. The Dragon Rouge website cites Carlos Castaneda, Julius Evola and Kenneth Grant as some of the magical writers whose work is read by the order, as are texts by classical philosophers such as Herakleitos, Plato and Plotinos, as well as modern philosophers like Friedrich Nietzsche, Martin Heidegger and Henri Bergson. Karlsson is also associated with metal bands Therion and Shadowseeds. In the summer of 2007, he has held the first Swedish course ever in Western Esotericism at the Stockholm University. His personal influences include Sumerian mythology, Alchemy, Tantra, the Goetia, and the Qliphoth. In an interview dated in 2003, he claims he experienced astral projections as a child but did not think of them as supernatural experiences until he started formally exploring the occult.